This lush, amazing story is the first fiction Owens, a wildlife scientist, has written. It surrounds the reader with the beauty and brutality of the North Carolina coastline as well as delivering a first class mystery. 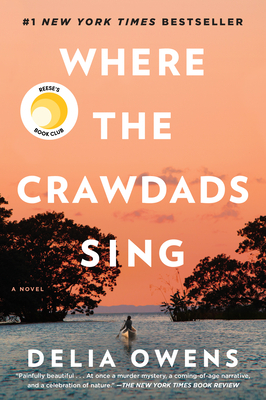 Kya is abandoned by her entire family in the marshes of North Carolina during the sixties when classism between townies and the marsh people is clearly defined. She must raise herself and in doing so discovers her talent as a naturalist and artist studying the animals, insects and plants of her marsh. Though the behavior of nature makes sense to her, her ability with humans, especially men, causes her nothing but grief. When the town's favorite son is found dead in the marsh, she becomes the prime suspect. The twists and turns of this story are as convoluted as the coastline Owens writes about so beautifully. And the ending is just great.